In this week’s edition, we recap last week’s bloodbath, review some of the major losers and explain what causes a commodity bubble. We also take a look at how Initial Coin Offerings are doing in a life after social media and provide some basic tips for spotting a winning investment. All of the top 25 cryptocurrencies by market capitalization (market cap) ended the week on a down note, with most suffering double-digit losses in one of the most vicious sell-offs of the year. Bitcoin plummeted to prices not seen since early February, ending down nearly 17% for the week. Ethereum (ETH) – down 25% in the same period – fell below $400 a coin for the first time since November of last year. Popular alts Bitcoin Cash (BCH), Dash (DASH) and TRON (TRX) fared even worse as March drew to a bloody close. The total market cap of all coins currently sits at $260 billion — a paltry 30% of its all-time high set back in January. If there’s one thing to be learned for sure about cryptocurrency markets in 2018, its that they were indeed in a bubble, driven by a sudden, irrational influx of money. The long-awaited Wall Street money, which began to pour into the space in early/mid 2017, provided the benefit of pushing BTC prices beyond $10,000. However, it also had the side effect of driving up transaction fees to extraordinary costs that rendered bitcoin non-competitive as a choice of currency. Although implementation of SegWit and Lightning Network transactions have done much to help scale bitcoin to demand (the average transaction fee currently hovers around $0.14, as compared to over $20 just a few months ago), an inverse correlation between the price of BTC and its intrinsic, fundamental value as a currency will likely continue to exist in the long term. In the 8 years it took for bitcoin to arrive on the public radar, thousands of minds created hundreds of successful alternatives, all of them sharing the communal problem of finding mainstream traction. Second-generation coins like Dash, Ethereum, and Cardano (ADA) offer significant improvements upon the blockchain architecture, while third-generation coins, like Byteball (BYTE), Lisk (LSK) and Hcash (HSR), use cryptographic securing mechanisms outside of the blockchain altogether. As an example of how little market penetration even the best altcoins have managed to make, the trading volume of these 6 coins combined falls well short of bitcoin’s $4.7 billion a day. 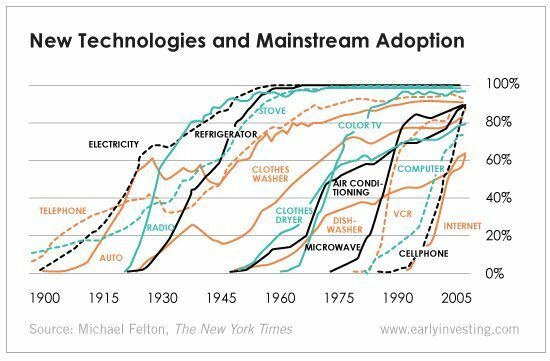 Long story short: Without adoption, the value of cryptocurrency is entirely speculative. Even the smartest products, projects or programs can’t thrive without an active usership. During the month of March, the total number of Initial Coin Offerings announced diminished to a count not seen since last August. Of all the ICOs that have survived, it is estimated that up to 76% of them are trading below their price at launch. 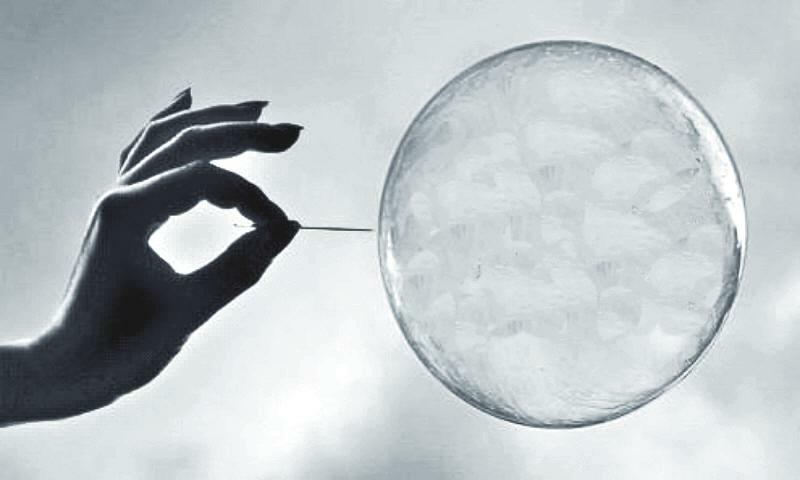 While the blockchain may still hold the power to transform the world for the better, it stands to reason that if the market is still collapsing from its bubble phase, the clear majority of ICOs would not be immune from this downtrend. An increasing amount of regulation and the banning of ICO advertisement on social media are also to blame for the waning popularity of the coin launch process. 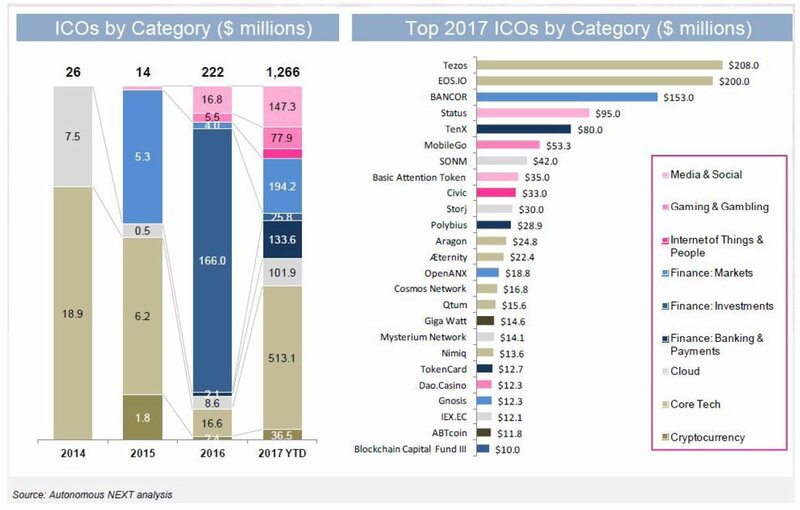 In spite of the recent negative press, ICOs remain an extremely lucrative prospect. There are undoubtedly world-changing, blockchain-based projects currently in the works, some of which will see the next round of headline-making, exponential gains. After all, it has become evident over the last year that at least some of Wall Street recognizes the potential of the blockchain, and still have some pretty serious bets riding on the future of cryptocurrency. – What is the ICO attempting to accomplish that sets it apart from other projects? How original is the idea? Is there a sincere reason this project could be profitable and successful, or is it just a copycat / clone of another, previously successful idea? – Do a gut check on the legitimacy of the ICO. What do your instincts tell you about how sincere the ICO team actually is? Is there a whitepaper, a public dev team, a decent website and decent community interaction? – Who is backing or supporting this ICO? Does it have any notable investors backing it, preferably ones with a demonstrable success record? Is it just trying to raise funds from an anonymous public or are there any other companies / individuals signing their support for it? Among the several successful real-world implementations of cryptocurrency technology are “blockchain as a service” providers. These are a new breed of companies that help other businesses through employment of the blockchain, offering advanced data security while streamlining operations in a cost-effective manner. One such industry in which the blockchain has strong potential for use is the life insurance industry, which is constantly seeking ways to insure that the data guiding their actuarial policies is tamper-resistant and cannot be altered or exploited for personal gain. The secured hashing algorithms underlying the blockchain are being hailed as a perfect candidate to help protect sensitive data and provide more accurate rates to their customers. Lamborghini has bitcoin millionaires to thank for the company’s rising sales, according to Business Insider. Perhaps due to a subconsciously-ingrained crypto meme that portrays a “lambo” as the end goal of a crypto investment (only after overcoming “FUD” and shooting “to the moon”), or perhaps due to the youthful and juvenile nature of these investors, the Volkswagen-owned car company has been enjoying a profound resurgence in popularity over the last 6 months.